Early Childhood Center at First Covenant Church is the first Certified Nature Explore Classroom in Omaha, Nebraska. It is one of many classrooms across the country that have made the commitment to meet the ten guiding principles set forth by Dimensions Educational Research Foundation and the Arbor Day Foundation. 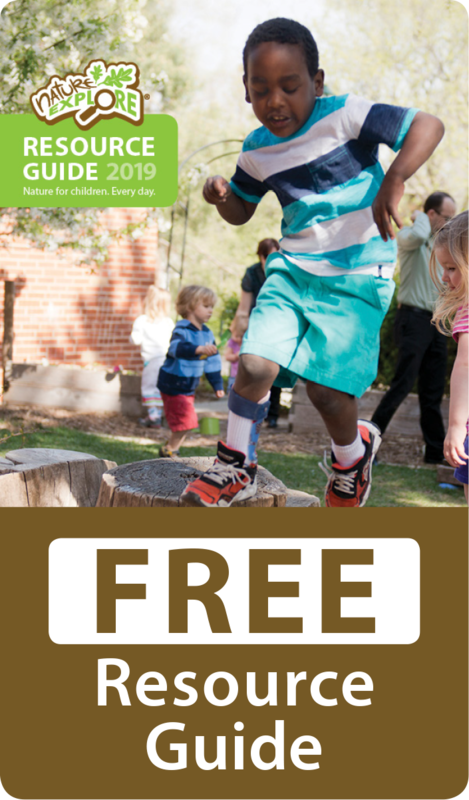 Director, Irene Ecklund, and her team have committed their 3 acre site to connecting children with nature on a daily basis. They strive to develop large motor and social skills in a unique, all natural outdoor learning environment. 4 raised garden beds are included in the classroom along with a 10 foot tee pee for gourds, beans, and pumpkins. Eating healthy is a part of their natural, organic plan. 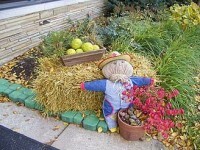 Children pick vegetables, apples and service berry fruit for their lunches and snacks. A chef prepares meals for the children, incorporating wonderful, fresh produce. They are planning to add a Green House this winter with the goal of having the children grow all their vegetables and flowering plants. Early Childhood Center has personalized their classroom with a sunflower tunnel, pole bean tee pee, wind chimes, large potted plants, bird feeders and bird houses. 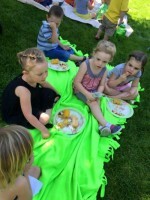 They have incorporated a beautiful patio spot with picnic tables and wooden chairs for parents to come for lunch or just to sit and observe their children in the play area. Each of the recommended areas and supplemental areas is marked by a wooden sign and also includes visual clues. 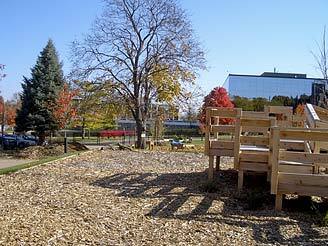 Low grasses and trees are incorporated into the space to allow for visibility and as actual components of the play space. 36 hardy, native trees were added, transforming the site. 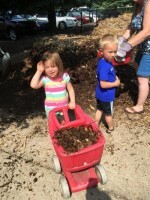 While inviting all families to planting events and outdoor workdays, Early Childhood Center also asks that parents read the following books; Last Child in the Woods by Richard Louv; Roots, Shoots and Buckets and Boots, by Lovejoy; Gardening Wizardry for Kids, by Kite; and Sunflower Houses, by Lovejoy. This is required reading of their staff. While they have accomplished much in a short time, they have plans to add many more items by spring and feel that they have only just begun. One of the most wonderful aspects of a Nature Explore Classroom is that each year, growth can be seen in the children and in this living classroom.